Most parts of India are suffering from drought like conditions. Specially latur district in Maharashtra. 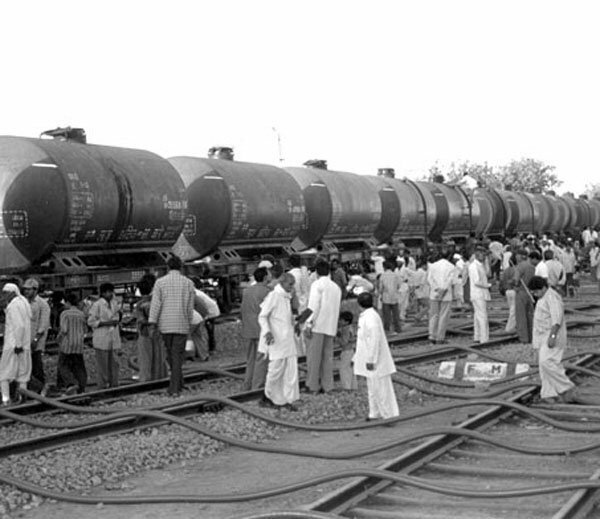 Indian railway is carrying water to the region. This is not happening only now, but from last 40 years. Indian Railways has introduced LED lights into all bogies and coaches to save energy. Bio Toilets have been introduced in trains in order to process the waste and dump a more cleaner garbage. Already, electrification of most railway routes is done so as to avoid diesel consuming locomotives. People can travel on paper less train tickets. This way railway is saving trees. Use the message send by railway on mobile along with a valid ID, and you can avoid printed tickets. Railway conducts ecotourism tours on irctc toursim packages site. Now its your turn to contribute towards cleaner earth. Avoid using plastic bags in train. Throw garbage in dust bins only. Make use of official railway toilets on station. And if possible plant a green tree near a station which seems little less green as compared to others.